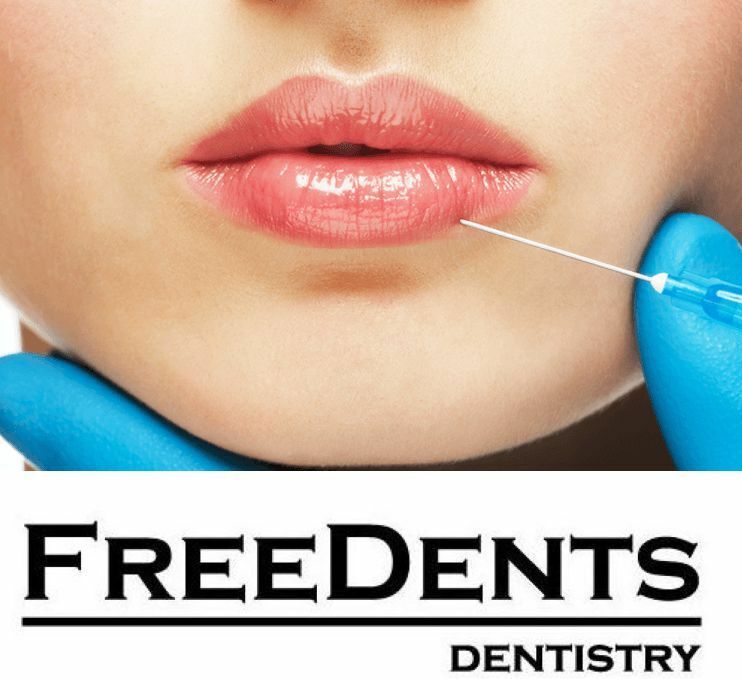 Lip contouring – Dental Clinic "FREEDENTS"
Lip contour (Lip augmentation) is the introduction of highly purified hyaluronic acid gel of non-animal origin (filera/gel implant), to change the form and fill in the volume of the lips, to fight with wrinkles around the lips. Gel fully resolved during the 6-18 months (depending on the type of drug). Previously injected silicone in the lips (synthetic filler), which does not rassasyvalsja and it eventually had to remove surgically, so today by this method of correction of lips. Hyaluronic acid is a natural substance that is present in the tissues of the body, which hold moisture, creates optimal conditions for the functioning of the surrounding tissues (elasticity, collagen synthesis, is an antioxidant, etc.). It is the safest drug among all existing fillers for contouring, inert and predictable, fully biocompatible with feeler. We use only certified filery world producers using hyaluronic acid fillers we can restore these anatomical structures of the lips as the column fil'truma, Arch Cupid, lip contour and fill the lost volume. * pregnancy and lactation (principle of non-interference) * idiosyncrasy violation in the work of the immune system in the body's autoimmune disease, recurrent tendency to scar * a bleeding disorder, hemophilia, anti * inflammation in the ground of the alleged injection * constantly elevated blood pressure * worsening of common diseases, fever * Oncology * decompensirovanny diabetes * vvedjonyj earlier lip silicone. After the inspection, consultation, assessment of contraindications and workplan, the doctor makes photo lips before the procedure, carefully handles the lip surface and surrounding soft tissue and antiseptic gel anesthetic 20-30 minutes to i'ekcii were more comfortable for the patient. Then procedures and itself. And be sure to count after the procedure. After the procedure is possible postinjection swelling, which runs for a couple of days, it's also possible the emergence of sinjachkov and bruises (this is due to the peculiarities of the blood supply to tissues of the lower third of the face). PS. : If you have previously had a cold sore, then for a couple of days before the injection should begin accepting antigerpeticheskih drugs to prevent herpes. Recommendations after contouring the lips:-deletion of the sauna, steam bath, fitness at 7-10 days-not massaged and do not rub the injection place-comply with the drinking regime. The final result of contouring the lips is assessed only through 2 weeks after the injection! The effect lasts from 6 months. up to 1.5 years depending on the type of filler, and characteristics of the organism of the patient.